Years ago, when our kids were little, a missionary couple came to visit us with an invaluable gift. I've been using that gift, the Resurrection Eggs, for years now at Easter. 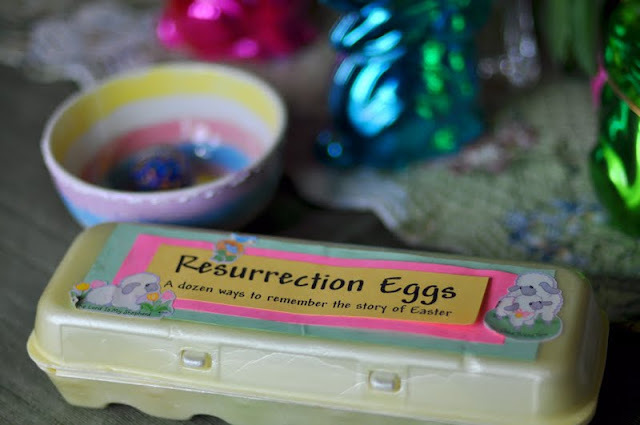 It's a beautiful, yet simple way to talk children through the Easter story. Since writing about it on my blog after Easter, I've had several people write to ask me what they are, and how to make their own. Since I don't know where this idea originated, I can't give credit except to Caroline Graumann who was the giver of this wonderful gift! 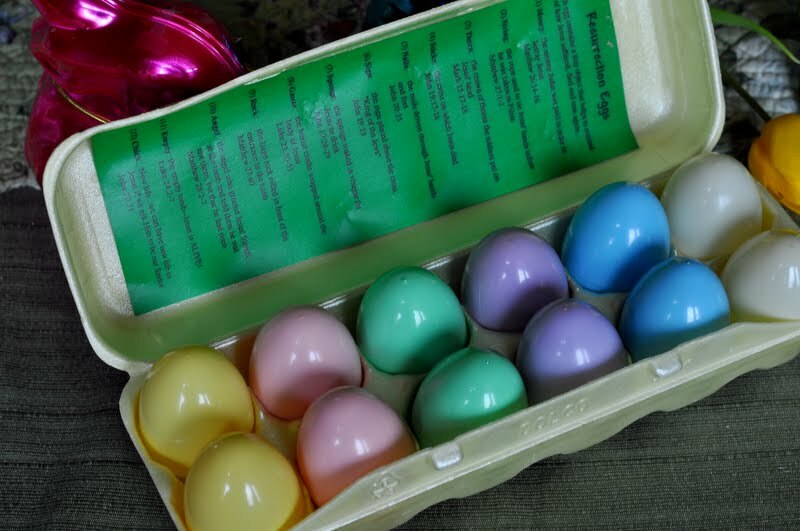 Since the story is told in twelve eggs, you'll need an American sized egg carton (if you're here in Europe, maybe you could use a 15 egg carton and put something else in the other three eggs since our cartons are only for ten eggs!). Next you'll need twelve plastic eggs. 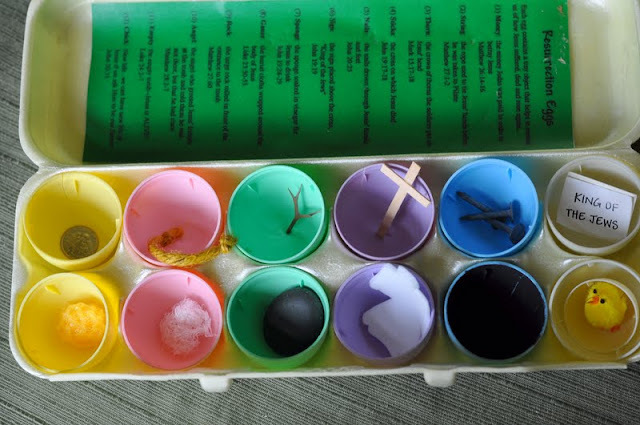 Caroline's egg carton had them color coordinated, but you could do it with any colors you want! 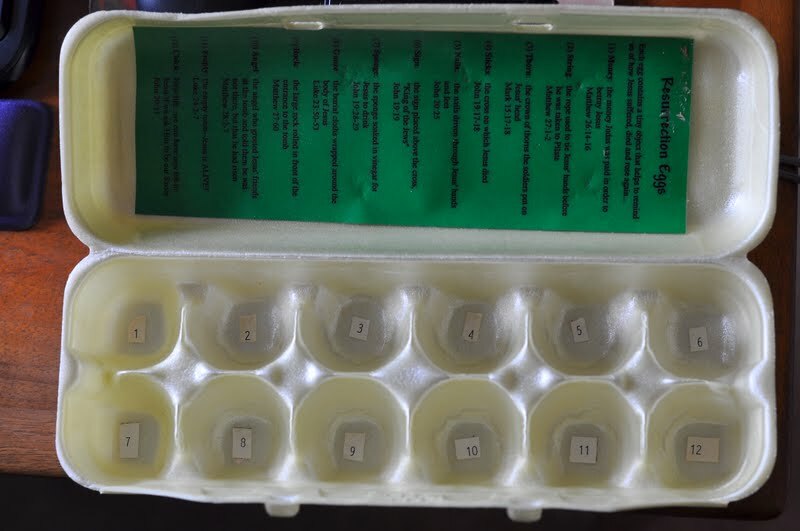 At the bottom of the egg carton, glue in small numbers, 1-12 to mark the place for each egg. 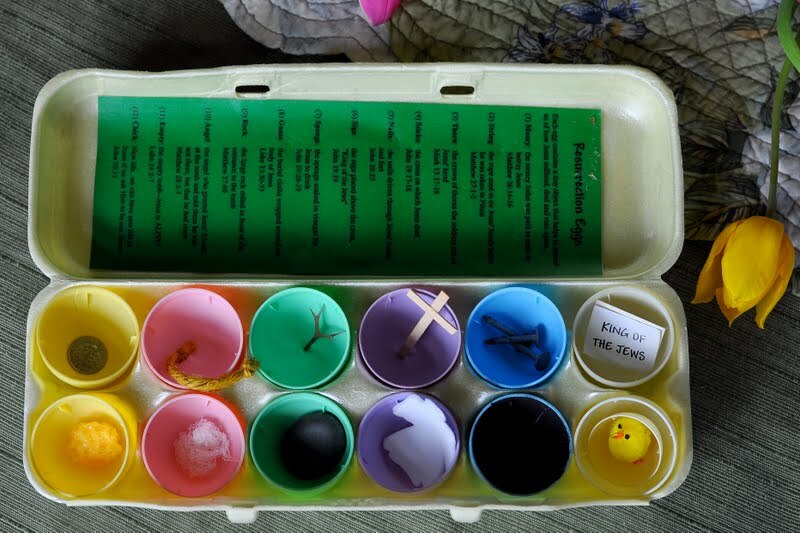 Each egg contains a tiny object that helps to remind us of how Jesus suffered, died and rose again. I like to pass out an egg to each child so they get to hold the symbol and try to answer why it's important. If you have kids, grand-kids, neighbor kids or even big kids...this is a wonderful way to bring the Easter into their lives! 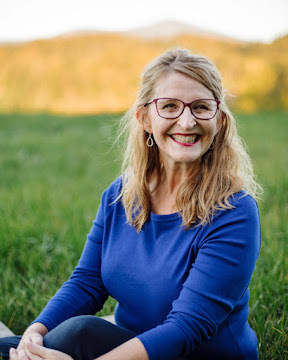 If you make one, I'd love to see a picture of your version! 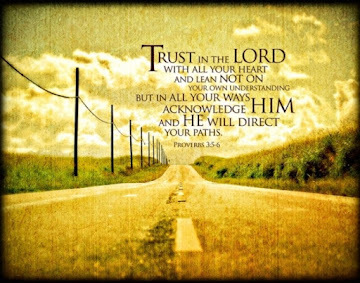 This is such a gift!! 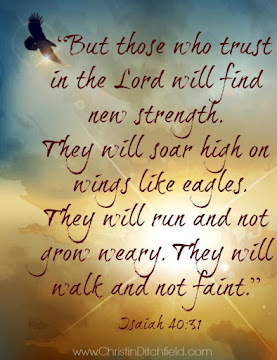 thank you so very much for you giving this gift to others :) God bless you in all you do Connie. What a beautiful package! I've done this too over the years with a few changes. I put numbers on the outside of the eggs and hid them among the other other Easter egg hunt goodies. Then when we get back together we let whoever has the sequence number open the egg and share what is inside. It works great in several languages too! !